On last month’s “Currently” post I bragged about the business cards I had ordered. Moo.com is one of my favorite creative places. 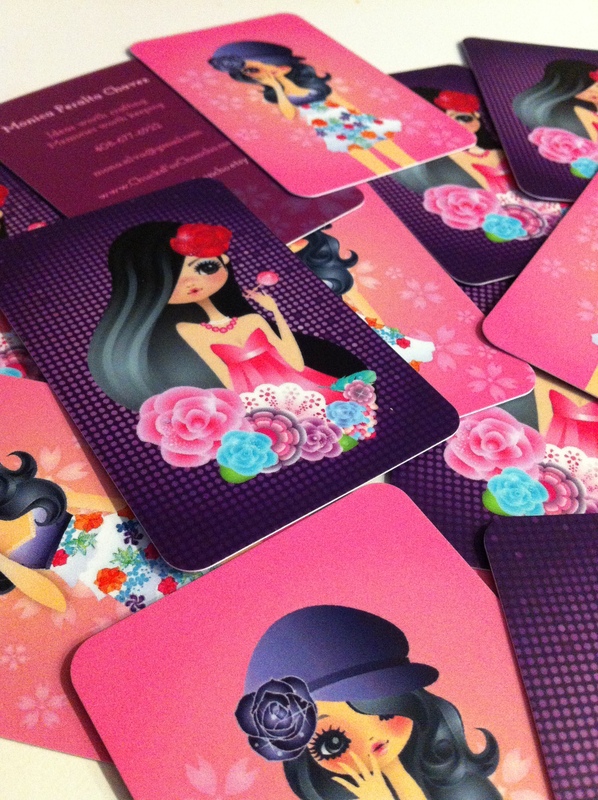 I’ve used them to make mini photo cards for my wedding, as well as for my product packaging cards. Their products range from photo cards, photo stickers (yes stickers! ), post cards, and business cards. All can be customized with whatever photos you have or you can even use their available art work. The best thing about them: good quality products are inexpensive! Isn’t she gorgeous? I ordered this set with 2 different graphics, or outfits as I like to call ’em. The flip side has my information with website and etsy store. I love how the rounded corners give the cards such a modern look.